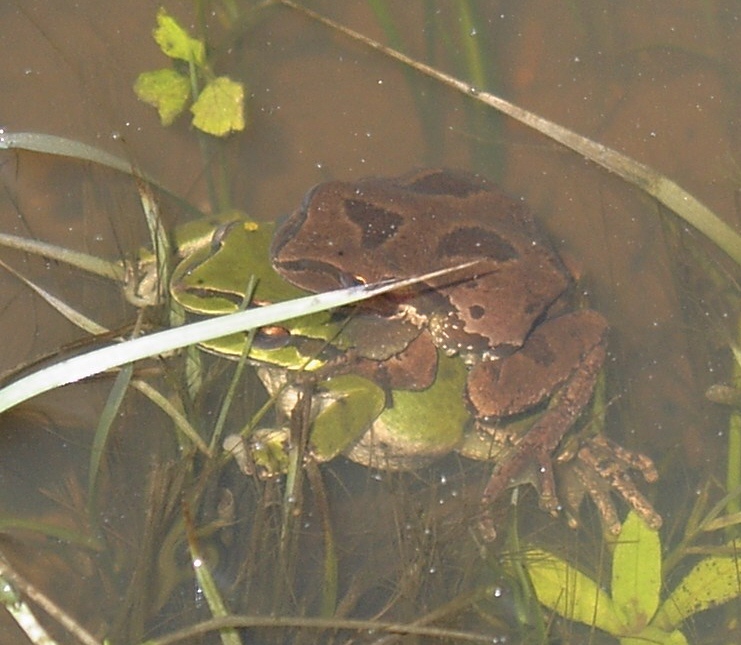 Here is a pic of two hyla regilla (pacific tree frogs) I caught mating outside my house. The colour contrast is amazong! Tell me what you think.